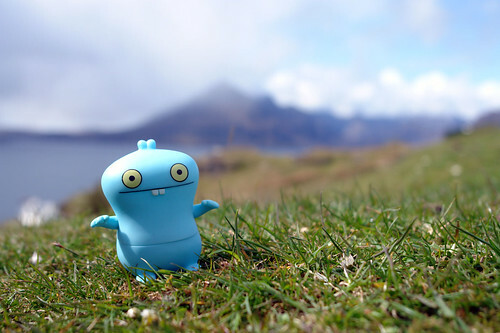 Uglyworld #518 - Babo Loves The Cuillins, originally uploaded by www.bazpics.com. Babo had to tip-toe on the grass near Elgol for this shot as two little lambs were sleeping in the sunshine only a few metres away. Thankfully he managed to pose with the Cuillins in the background without waking either of them up.